anything from sunburns to chronic pain. Alternative healing has been around for millennia and usually can be traced back to traditional Chinese medicine. The theory informing traditional Chinese medicine is that the body and the environment it’s in are connected and, when the body is off kilter, treatment and prevention should come from the environment. Chinese medicine uses plant based treatment to restore balance to the body. Other Chinese options for healing the mind and body are acupuncture, massage and meditation. The Chinese believe that yin and yang two cosmic forces in the universe affect everything particularly our health. Yin is the female force and symbolized by the moon and yang represents masculinity in the form of the sun. Balancing yin and yang in our bodies is the foundation for Chinese medicine, a system that competes with Western medicine in its complexity and efficacy. In the West, alternative medicine was thought to be a sham but science continues to prove that traditional Eastern medicine is definitely effective. Exactly what scientific evidence proves the validity of alternative medicine? Indeed it has been slow going for contemporary science to acknowledge the power of traditional medicine in part because studies get funded by drug companies who want to profit from the science they invest in. Only in the last half of the 20th century do academic studies focusing on alternative medicine start to appear. Today it is a form of healing that is internationally accepted. The concepts underpinning Easter medicine must be framed within the context of Eastern cultures. Chinese culture is informed by centuries of tradition and social interaction. Yin and yang has long been part of Chinese tradition and Eastern medicine uses yin and yang to divide our bodies into areas. Our yin organs are those inside our body and our external organs (like skin, for instance) are yang. Everything we eat, including herbs, will either help or hurt the yin/yang balance in our bodies. Yin and yang foods, eaten in the right combination, will create healthy balance in our bodies. Within a traditional Chinese medicine framework, sickness is a result of not eating the correct foods and not getting exercise as well as not taking time to rest our bodies and minds. Similarly, eating too much yin or yang foods even as they’re technically “good for you” will also cause imbalance in your body, resulting in aches, pains or illness due to imbalance. Tai chi, an Eastern movement system promoting equilibrium, balance and increased blood flow, also should be practiced to encourage overall good health. Yoga can also help accomplish this as well. 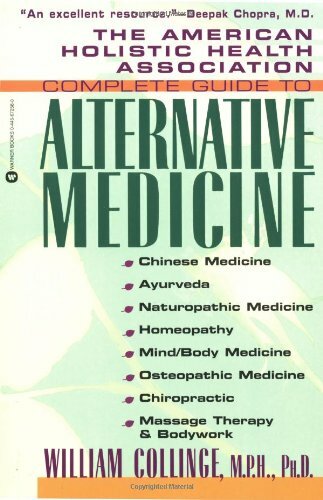 Can Alternative and Western Medicine Practices Be Combined? Historically, the West has been slow to embrace alternative healing such as traditional Chinese medicine although today many Western doctors are combining their own medical school practices with that of alternative modes of healing. One prominent example of a physician trained in Western medicine incorporating Eastern healing practices is Dr. Mehmet Oz, the prominent doctor featured on Oprah who now has his own talk show with a health emphasis. He has recently stated that he has used reflexology and massage on his patients going into surgery. Oz cited the accelerated speeding process as the evidence for using these techniques on patients and he’s certainly not the only Western doctor to create hybrid treatment based on both Western and Eastern medicine. For example, some surgeons rely on Reiki, among other Eastern therapies, to assist patients with the healing process. What is Reiki? It is an Asian therapy that focuses on the body’s balance of energy after an illness or operation. Reiki treatments include a trained therapist who touches 12-15 areas on the body to alleviate pain and stress. Recent Chinese research done on combining the two healing systems has concluded that the use of both benefits patients and the medical community in general. One example of the power of combined therapy is a study showing that Chinese herbs in tandem with radiation therapy has strengthened the immunity of cancer patients while reducing their tumors during their course of radiation. Studies have also shown that acupuncture has a positive effect on the nervous system by causing the brain to release endorphins which, in turn, promote healthy organs in our bodies. Meditation has also encouraged the growth of T-cells (which strengthen the immune system and fight viruses). While many have criticized Chinese medicine and attribute its effectiveness to the placebo effect, both Western and Eastern studies are proving the opposite. Most important in combining Eastern and Western medicine philosophies, the patient’s lifestyle must be examined. Eastern medicine advocates a healthy diet and exercise as important practices in preventing disease and Western medicine instead reacts to illness once it manifests in in the body. One emphasizes prevention while the other reacts to disease. Since more doctors are combining medical systems to help patients, more than a third of Americans supplement conventional Western medical practices with alternative medicine. Current research continues to contribute to a body of knowledge indicating that alternative medical practices are effective for treating illness. It isn’t so strange any more to hear about the benefits of acupuncture or meditation as means to stay physically or psychologically healthy. Yet another reason for the growing popularity of traditional Chinese medicine has to do with the cost, particularly when compared to the skyrocketing costs of Western medical care. Many without health insurance simply can’t afford Western medical treatment and, today more than ever, small businesses cannot afford to offer their employees insurance coverage. Even comprehensive policies come up short in terms of savings they can offer people. Many in the U.S. are crossing borders – heading to Mexico or Canada – in order to find affordable medical treatment or prescription medicines. As alternative medicine becomes better known in the West, more people will use Eastern methods to prevent illness and create healthy balance in their lives. The number of naysayers regarding alternative therapies is shrinking. Reputable medical and research centers like Children’s Memorial Hospital in Chicago are beginning to use alternative medical techniques in their treatments. Recently in U.S. News and World Report, an article cited Children’s Memorial as a “hard-nosed, tough cases, research oriented emblem of western medicine” that has created its own balance of Western and Eastern medical treatment. When a medical research center like Children’s Medical embraces traditional Chinese medicine, the rest of the medical world pays attention. Massage, reflexology and yoga are generally understood to be important tools in maintaining healthy balance in our lives. While the Chinese may endorse a combination of Eastern and Western medical therapies for treatment of chronic diseases like cancer, not a lot of Westerners agree. Yet. Historically, just the term “alternative medicine” suggested witchcraft and other pagan religious practices that might seem strange and/or terrifying. Hopefully with more time and understanding from both Chinese and American practitioners and patients, a combined Eastern and Western therapy will prove valuable for both the prevention and treatment of illness for everyone. At the end of the day, as human beings regardless of our histories, our medical practices evolve to provide the most effective therapies for all patients. This entails crossing cultural lines and understanding the frameworks of Eastern and Western medical systems so that both can work together to bring improved medical care to the world. I honestly believe that a lot of it comes down to money. Your quote, "Eastern medicine advocates a healthy diet and exercise as important practices in preventing disease and Western medicine instead reacts to illness once it manifests in in the body." So, with that being said, then the high cost of Western medicine may be a blessing in disguise if it helps people to discover the benefits of Eastern medicine. Good article!